CHIC. KISS. LOVE: Fashion Event | The zealot of fashion. 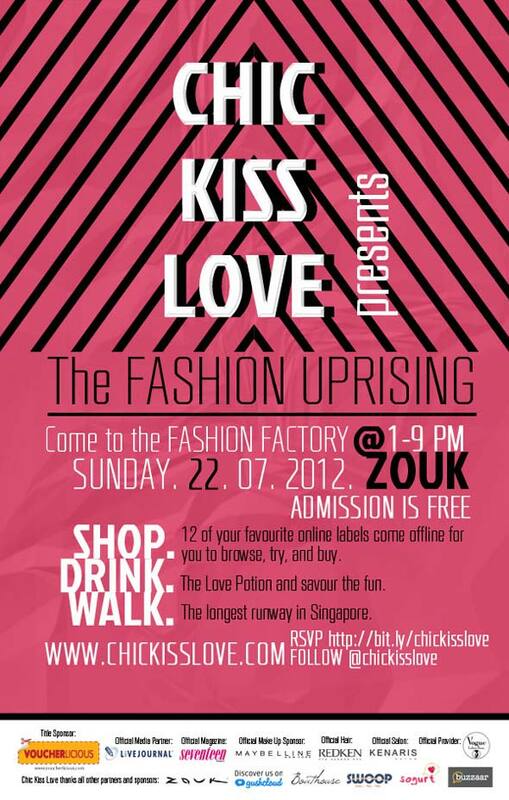 So today I went down to Zouk to attend a fashion event. Honestly, it wasn't as good as I expected it to be. The fashion show seemingly lasted for half an hour and sad to say I am quite disappointed. It was more like a clearance sales and shop advertising event, but at least the models were charming people. Summer never ends here in Singapore so it was comforting to see lots of floral going on. But since this is a blogshop event, the quality wouldn't be exceptional. Just cheap fashion for the fashion trend chasers. So afterwards, which was like an half an hour after the fashion show (frankly speaking, I only went there to see the fashion show), we went on to Orchard Isetan to eat Pepper Lunch. I've ordered the Curry Pepper Chicken Rice with Cheeze, mmm, yummy, while my boy ordered a Salmon Pepper Rice. I first had my white blazer and shorts in mind, then I thought I needed that pop of color, so I wore a sheer collared floral top to enhance my simple outerwear and bottom. I wanted to deliver a casual-formal look so instead of heels I paired it with low cut boots. Then of course, what's a full look without accessories? I didn't wear any necklaces cause I didn't want it to overwhelm and cover up the pretty prints of my shirt. I wanted it to have a more edgy look so I added on spike and beaded bracelets to compliment my leather finishings. There you have it, a look suitable for informal events. You don't wanna wear too grand but yet you wanna stand out in the crowd, take this look! I hope you enjoyed your Sunday and have a pleasant week ahead!